The two hapless New Zealand sailors aboard the good ship Encounter have received a good deal of press attention over the past few days. Now that they’ve been successfully rescued from their predicament (injured by heavy seas en route to the Cook Islands), the New Zealand Herald has found a fresh angle…how much it cost the taxpayers to save them. While this is, at first glance, somewhat offensive - if you’ve been at sea and in need of rescue your perspective is likely to fall along the lines of “cost be dammed” – I think it’s actually a useful and interesting conversation. Add up helicopters, life saving packages, medical care, rescue personal, overall costs of coordination and so on and soon you’ve tallied quite a tab. It’s not useful to actually put a price on life but, when any fool with a piece of floating fiberglass can point his or her bow towards the open ocean , how are we protected from having to bear the substantial costs of bailing them out? I’m sure this isn’t a new idea, but I think there ‘s some merit in requiring that people who want to go offshore in small sailing vessels meet a base standard of seafaring and safety knowledge. Not that Heloise Kortekaas and Bruce Cox (the Encounter crew) are necessarily incompetent but in a more general sense, we require drivers pass a test, merchant mariners pass a test, charter captains pass a test – why not weekend warriors who want to try their hand at ocean voyaging? Today we rely on a sense of self preservation to make sure ocean sailors are well prepared to meet the challenges…I don’t have any stats on the $$ the government spends rescuing people (and even prepared, experienced sailors can run into trouble) but a program to certify sailors to go to sea should be seriously considered. i, for one, am against such licencing. 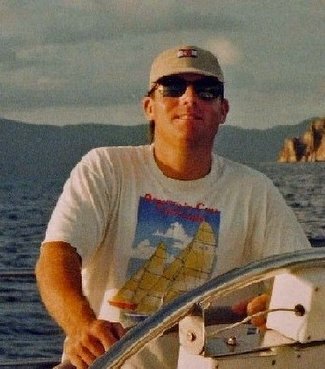 Although i support ongoing training and education for sailors of all levels, i've met more than enough folks with "big" tickets/endorsements who i wouldn't care to go offshore with. Likewise, i've met plenty of fantastic, experienced, skillful offshore sailors who've never passed a single test (other than the ones posed by the sea). Inherent in a licensing scheme is the expectation that test-passers will genuinely be better able to cope in survival conditions; no such guarantee is likely. i feel that part of the problem is that other expectation; the one that comes from EPIRB's and satphones; the expectation that some form of rescue is somehow always at hand. Modern electronics and communications are great, but a prudent sailor goes to sea with the awareness that they are really all on their own; this breeds a sense of self-sufficiency that no course can teach, nor license impart. For your information, Bruce Cox holds a deep sea first mate ticket and with over 35 years ocean going experience I believe any such ticket if it were nessasary to hold, he would have had no trouble attaining. I am aware you were not making any accusations as to their incompetency but please do get all the information.